Only 105,280 Miles! 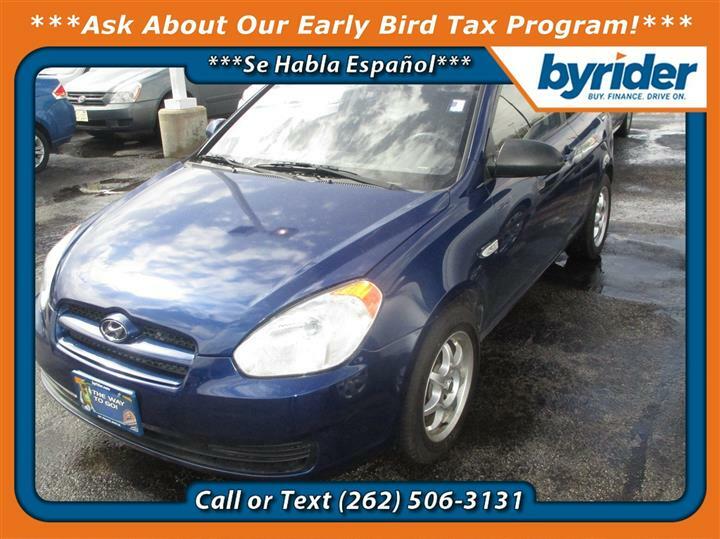 Scores 35 Highway MPG and 26 City MPG! 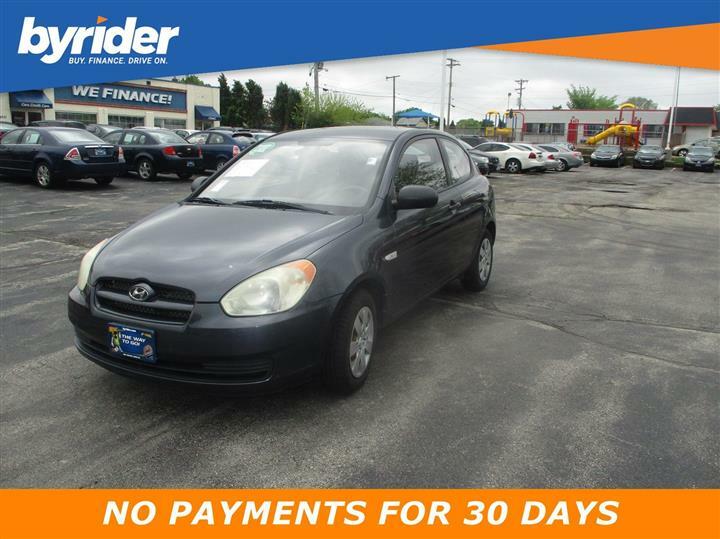 This Hyundai Accent boasts a Gas I4 1.6L/98 engine powering this Automatic transmission. TANGO RED, POPULAR EQUIPMENT PKG 2 -inc: air conditioning, AM/FM/XM, CD/MP3 player w/(6) speakers, aux input jack, tilt steering wheel, map lights w/sunglass holder, CARPETED FLOOR MATS. ALLOY FUEL FILLER DOOR, Warning lights -inc: oil pressure, battery, door ajar, brake, check engine, Variable-intermittent windshield wiper, Tire Pressure Monitoring System, Side marker lamps, Reclining front bucket seats -inc: 6-way manual adjustable driver seat, adjustable headrests, Rear window defogger, Rear spoiler, Rear coat hook, P175/70TR14 tires. 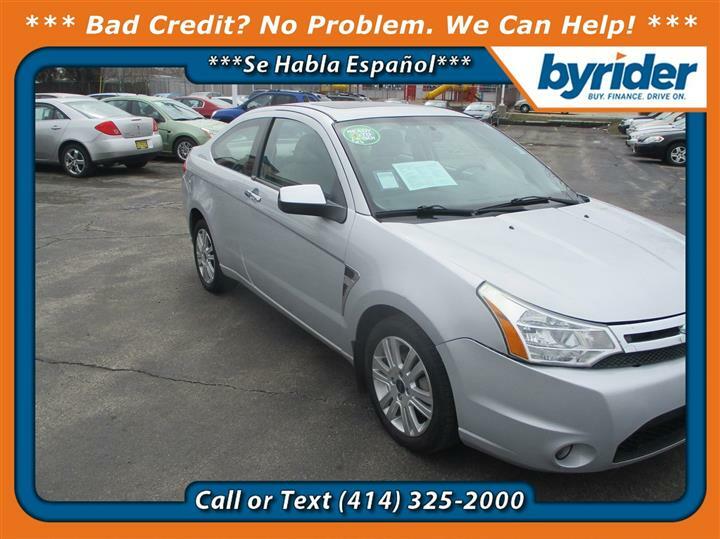 A short visit to JD Byrider-WI102 located at 4810 S 27th St, Milwaukee, WI 53221 can get you a trustworthy Accent today!